How Many People Will Use the Dover Greenway? 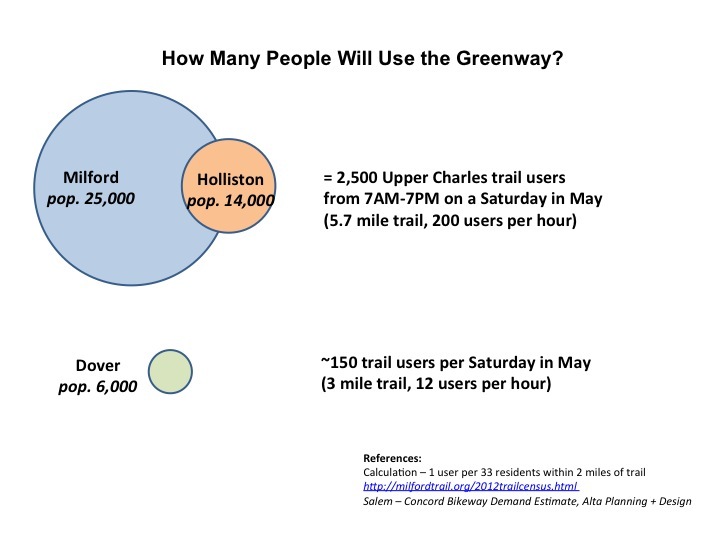 We have done the research and this infographic illustrates the traffic we expect on the Dover Greenway, if completed based on the FDGs recommendations. You can click here to review the reference that is noted at the bottom of the image. April 23, 2016 in FAQs. Questions and Misconceptions – Get the Facts! The Dover Greenway is an Environmental Plus! ← The Dover Greenway is an Environmental Plus!